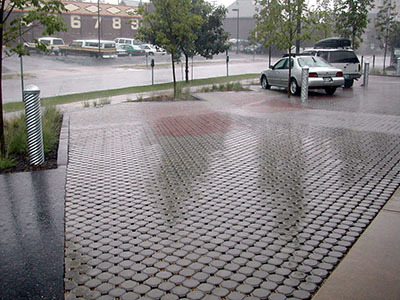 An example of the use of permeable paving. All development in Sydney's drinking water catchment must demonstrate a neutral or beneficial effect on water quality. This requirement includes how stormwater is managed, both during construction and after the development is completed. It applies to large and small projects, including building or replacing homes, sheds, roads and carparks.